Just because the lights are flickering in your home doesn’t mean you’re living in a horror movie. More often than not, the reasons for flickering lights – and the ways to fix them – tend to be relatively simple. 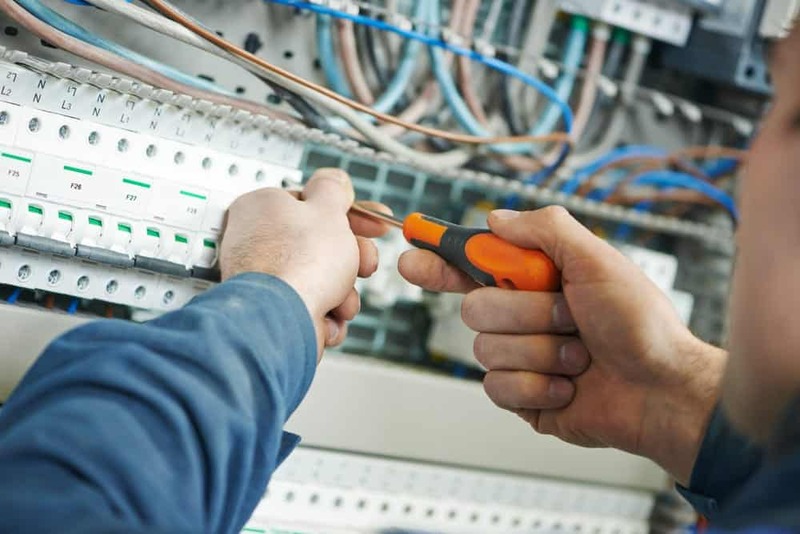 The team of certified residential electricians employed by EarlyBird Electrician have the long-standing experience to handle any sort of light problem, including the flickering ones. In fact, they’re available to take your call whenever you need them, 24 hours a day, 7 days a week. Minneapolis – St. Paul and the surrounding metro has been our home for years, which means that we’re as invested in the community you live in as you are. When you come to us for electrical repair work, you’ll get top of the line work that’s done safely, securely, and efficiently – every time, guaranteed. What is causing my flickering lights? These aren’t the only things that can cause flickering lights in your home, but they’re the causes we most often come across. The connections are loose. A loose wire, circuit breaker connection, or terminal can all lead to problems like flickering lights. Loose connections like these can cause resistance, which causes arcing, which in turn can lead to overheating and – in worst case scenarios – electrical fires. There have been changes in the voltage. When do your lights flicker? If they’re only flickering when a large appliance such as a washer, dryer, or refrigerator are turned on, then the problem could be voltage-based. A professional electrician like the ones employed at EarlyBird Electrician can check on your home’s ampacity to make sure that it’s set up properly to handle both the lights and appliances simultaneously. The type of light isn’t appropriate. Did you know that fluorescent lights frequently use an inductive ballast to control the amount of current flowing through the bulb and that can cause a flickering effect? If it’s especially bothersome, change out any fluorescent bulbs in your home with LED or incandescent ones to see if the problem goes away. The bulb is loose. This is the simplest solution to flickering lights. Sometimes the bulbs just aren’t screwed in all the way. If the lights throughout your entire home are flickering, then tightening bulbs won’t fix anything, but there’s no harm in checking if the flickering is limited to a singular unit that just happens to be receiving power inconsistently.